In partnership with the wider Jewish community, JDRC's leadership, comprised of Deaf, Hard-of-Hearing, and hearing individuals, advocates to increase communication access to services, rituals, learning and other Jewish communal experiences. Through our efforts, we build a richer and meaningful Jewish communal life for everyone. ​An ASL "Havurah" in NYC! to gather for social, educational and spiritual connection. Tuesday Night March 5th - "Ask The Clergy"
SIGN UP BELOW FOR MORE INFO! Sign up to receive important information by email! the Caring Commission of UJA-Federation of New York. Click here for information and forms. 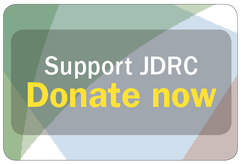 Jewish Deaf Resource Center is a 501(c)(3) nonprofit organization | © 2013 JDRC. All rights reserved.